​Liverpool travel to Fulham on Sunday knowing that a win at Craven Cottage will take them back to the top of the Premier League. With Manchester City in FA Cup action this weekend, Jurgen Klopp's men will be looking to take full advantage and be two points clear before next week's international break. While the Reds are on a real high following their Champions League win at Bayern Munich in the week, Fulham are in desperate need for any kind of morale boost, with Scott Parker still looking for his first point as caretaker manager and the Cottagers 13 points from safety. Scott Parker has no new injury concerns for his Fulham team, although Andre Schurrle has been suffering with a virus this week, so may miss out. Defender Alfie Mawson and goalkeeper Marcus Bettinelli​ remain absent following long-term knee injuries for the English pair. Liverpool will be without captain Jordan Henderson following an ankle injury he picked up in Munich on Wednesday night, meaning Fabinho will replace him as the side's holding midfielder. Naby Keita missed the trip to Germany due to a minor muscle injury, but has been training with the side since their midweek win and could return. The game will come too soon for Alex Oxlade Chamberlain, who should be fit for the first time this season after the international break. Perhaps unsurprisingly, it's the Reds who have been fairly dominant in this fixture over the years. They've recorded 40 wins and just 12 defeats to the west London side in 68 matches between the two teams. The reverse fixture in November saw the Reds win 2-0 at Anfield, thanks to strikes either side of half time from Mo Salah and Xherdan Shaqiri. In the 13 Premier League meetings between the two at Craven Cottage, there has never been a draw, with the hosts claiming five wins against Liverpool's eight. After becoming the first promoted side in history to spend £100m in the summer, this season has been nothing short of a disaster for Fulham, who are currently on a run of six straight defeats. Scott Parker has been tasked with picking up a squad whose confidence must surely be rock bottom following the sacking of Claudio Ranieri, and should Huddersfield win at West Ham on Saturday, the Cottagers will be bottom of the table by kick-off after suffering ten losses in eleven games. Liverpool's Premier League away form will certainly be a cause for concern for Jurgen Klopp, with the Reds claiming just one win five on the road. Those matches do however include clashes against the two Manchester clubs and Everton. Following a run of 12 goals in four matches, including a stunning win in Munich, Liverpool will be full of confidence of going two points clear at the top of the league, with the 68 goals they've scored in the league this season being the same figure as Fulham have conceded. Quite frankly, this isn't really a question of whether Liverpool will win, but more how much they they improve their goal difference by. Scott Parker is trying his best, but Fulham really have been dreadful, especially defensively. Liverpool are on the up again following a difficult few weeks and it would be a minor miracle if the hosts kept out that awesome front three. 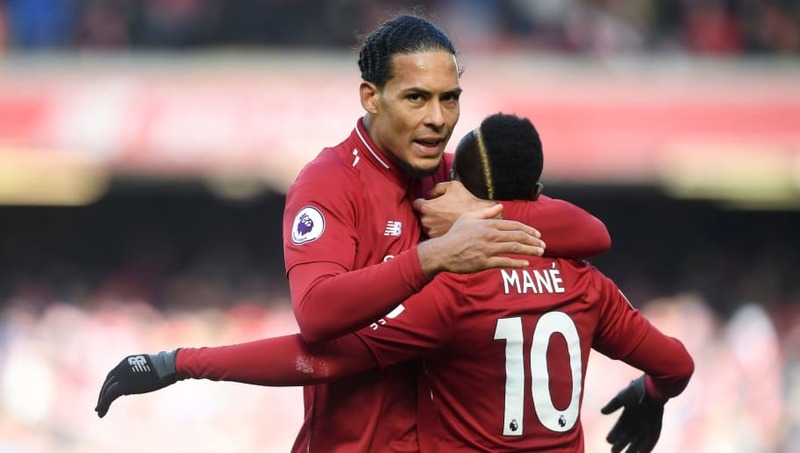 Complacency might be the only thing that will stop Jurgen Klopp's men winning comfortably, but the German will be desperate for that not to happen, and if the Reds take anything less than three points back to Merseyside, it would be a huge surprise and failure.